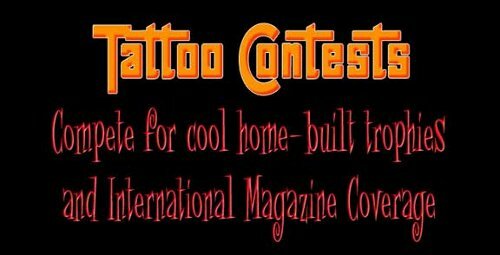 Contests are a great way to show off your tattoo work and pay respect to your artist or artists. 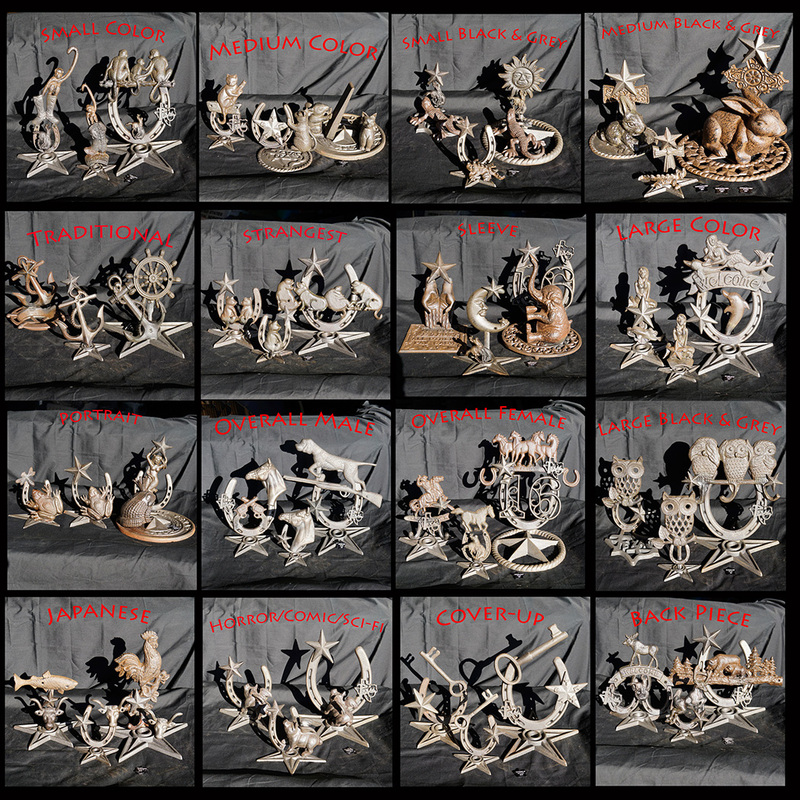 The days and categories of contests are listed to the left and will run in the order listed. Trophies will be presented at the end of each category. ENTER THE TATTOO CONTESTS AT THE STAR OF TEXAS EVENT MERCH BOOTH! 1st, 2nd, & 3rd place awards will be given for all categories, except Tattoo of the Day, which receives 1st only. Contest registration is at the Event Merch Booth prior to competitions. It will cost $10 to enter each category. The entry fee is NON REFUNDABLE!! Tattoo Of The Day are free to enter!! Be sure to be present 30 minutes prior to competing. No refunds for no-shows! Tattoos must be FULLY HEALED in order to enter tattoo competitions, except for Tattoo Of The Day. Tattoo Of The Day tattoos must be properly cleaned up and presentable (i.e. not seeping or bleeding). Tattoo Of The Day is free to enter! You must have your tattoo done by an attending Star Of Texas Tattoo Art Revival artist that day. Tattoo of the Day will have only one trophy that will be given daily. By entering the Star of Texas Tattoo Competitions you release S.T.T.A.R. of any and all legalities stemming from copyrighted tattoos, artwork, material or anything in regards to copyrighted tattoos, photographs, clothing or anything else deemed copyrighted or trademarked. S.T.T.A.R. is not legally responsible for attendees falsifying artist information upon registration or during competitions.